Forefathers Sauvignon Blanc is a single- vineyard wine produced from the 19 acre Wax Eye Vineyard on Hawksbury Road in Marlborough. The glacial soils offer the vines good water retention and this glacial minerality often shows itself in the finished wine. Machine harvested at 2:00 am for maximum cold temperatures, immediately pressed and inoculated. 100% stainless steel cold fermented. Aged on the lees for 3 months to accentuate creaminess. Tasting Note: Huge floral, white peach, and passion fruit aromas. The mouth is similar with passion fruit and a touch of gooseberry. Long and flavorful with bright acidity. Finishes with an green apple zing , so characteristic of New World Sauvignon Blanc. 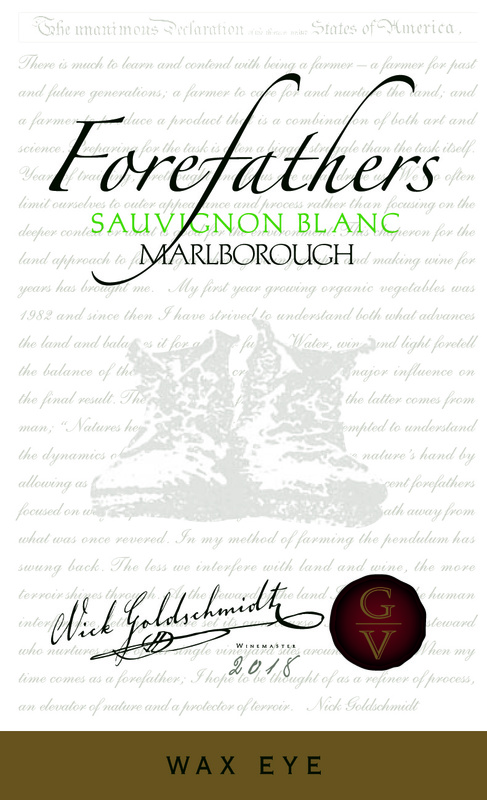 Tasting Note: A classic Marlborough vintage. 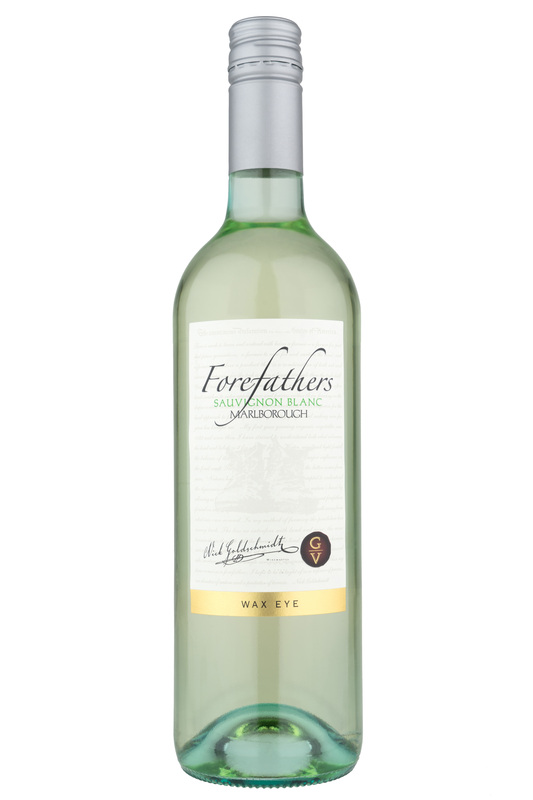 The fruit is a little more tropical than usual and shows guava and passionfruit with grassy aromatics. Lime peel and elderflower are also evident in the nose. Intense mouth with fresh fig and pepper wrapped in a creamy texture. As the wine draws to a close, mineral notes highlight the zippy finish.